Hello - Caryn here today with a card created with the Peaceful Pines stamps and dies. This is a great set for whipping up a simple yet elegant card in no time at all which is what we all need at this time of year! I stared with a 4-bar sized card base in red and used the rectangle die from Focal Point Stripes to cut an aperture on the front. 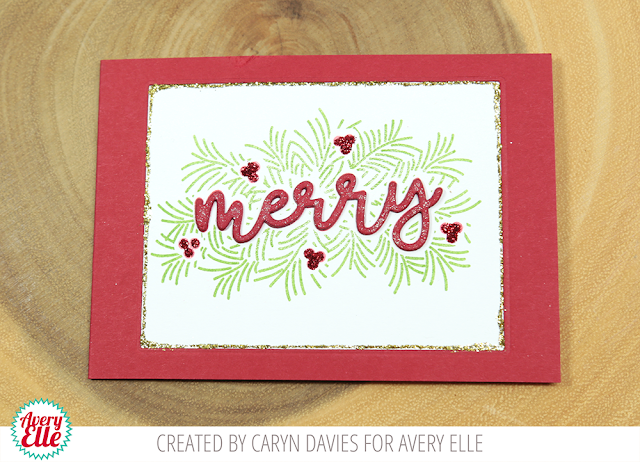 I glued a white piece of card behind this and then stamped the pine branches in Jungle pigment ink. 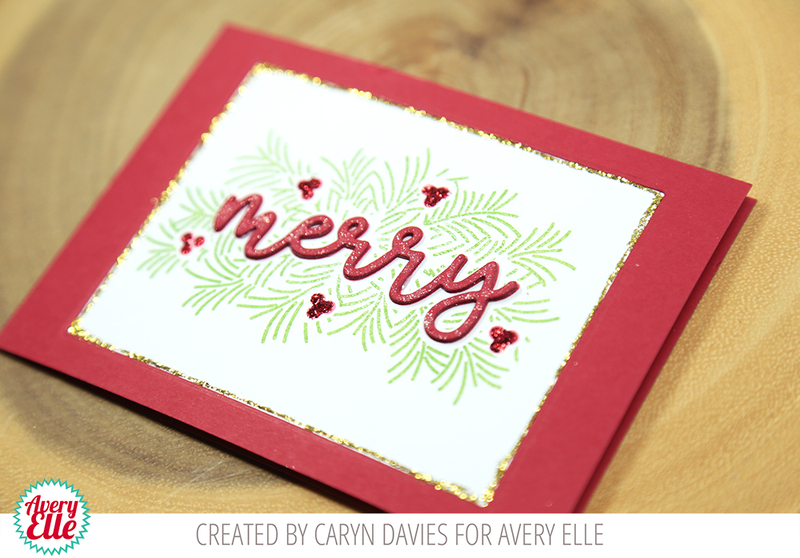 Next I die cut the word Merry 3 times from the piece of card I cut from the card base, stacked them up and spritzed them with a little shimmer spray. To finish I dug out my red and gold Stickles glitter glue and ran a gold edge around the window (totally inspired by Julie Ebersole!!) and some red dots to the berries.